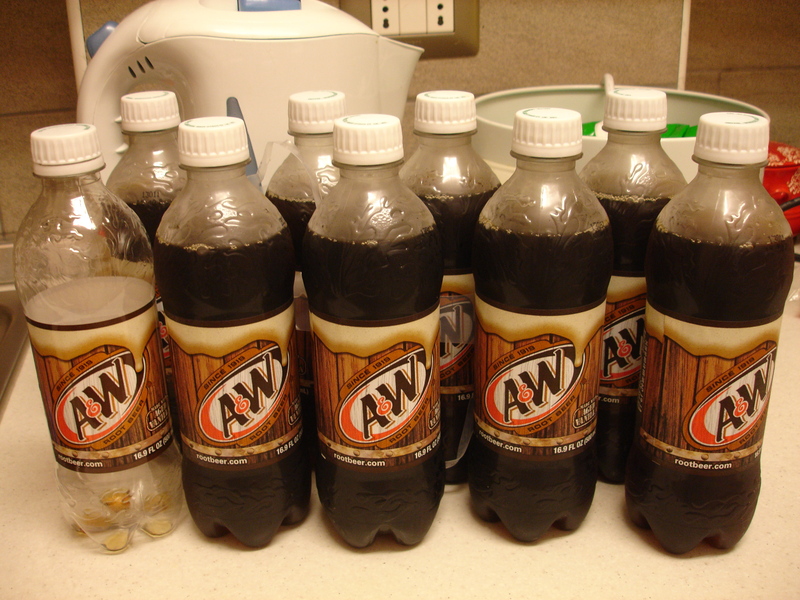 9 bottles of A&W rootbeer. One bottled immediately chilled in the freezer when the hubs got home, and downed in this 36 degree celcius heat, tasted just.absolutely.divine. The sister and brother-in-law arrive from Malaysia in 2 days time, and she’s got some Super Ring snacks for me YUMS. We leave for a trip to Germany on Wednesday and get home on Sunday. I hope the weather’s cooler there than it is in sweltering hot Modena. I’m at the end of week 19 of this pregnancy, and on Tuesday, I hit 20 weeks which is officially HALFWAY through the pregnancy journey. OMG. Where did all the time go???? I have been having heartburn lately, and it seems to be getting worse. When it first started, I used to down some milk whenever I felt that burning sensation in my chest, and it worked. But now, it doesn’t work anymore 😦 It really is the most uncomfortable thing. I’m trying not to resort to antacids to relieve this, and I hope it doesn’t worsen else I just might cave. What else, ah yes, the dreaded backache. I really feel like an old woman now. I wrote in one of my previous posts about my tail bone (coccyx) pain that I used to have as a teenager. Now I feel it again, and what’s scarier, each time I stand up after being seated, I feel this “click” like sensation at the coccyx, almost as if the bone’s coming “loose”. Scary I tell ya. I have been having the weirdest dreams too. I tend to dream a lot of my late dad, and these dreams are usually quite warm and pleasant. The other day I dreamt that papa and I were in my clunky old car, and papa was driving, and as we approached a traffic light, it turned orange, and quickly turned red. Papa went all pedal to the metal (learnt this term from my cousin Mark :P) while grinning. We beat the red traffic light, and I was chiding papa, and he was laughing, and next thing we knew, a policeman stopped us and slapped us with a saman (summons/ticket). Papa laughed it off saying, “Aiya, saman only lah!”. 🙂 I dreamt of our fishing trips too many times. One of my best loved school holiday activities back then was going fishing with papa. He’d bring us to the weirdest spots, like some clear river in the middle of an oil palm plantation and we’d be all ready with pails and rods and worms for bait. Don’t forget the worms! How many girls you know aren’t squeamish with earthworms 😉 Well, sis and I weren’t. We’d pour soap water in our backyard and then frantically dig the soil to find the wriggly worms. Yesterday though, I had a scary dream. I dreamt of Dobby, that not exactly cute character from Harry Potter. Except in this dream, there were 5-6 Dobbies, and they were all dead and rotting, and floating around in a room around me. I could see the flesh putrefying on it’s body and I was just stuck in that room, petrified and helpless. I am usually a very “rigid” sleeper. In fact, when I was a kid, I was told that I freaked my sister out many a time due to my corpse like position when I sleep. Hands clasped together while I sleep on my back. And I wouldn’t toss and turn. At all. Now, it’s a totally different story. I realized I have been rolling around in bed so much as it has gotten SO HARD to sleep. Well, since the hubs isn’t here, it isn’t too bad. When he comes home, he and I are both gonna have a tough time sleeping! On a different note, the sister and the brother in law arrives in Europe in a couple of days for their honeymoon. They will be following the hubs and me to a friend’s wedding in Germany before spending a few days in Modena. I have yet to clean out the guest room, and the whole house is a mess. I hate sorting through all my clothes, as I have to put away all the winter/spring clothes and keep away the summer clothes that I can’t fit into (almost all!). That means I have to put away almost ALL my clothes, and it’s such a nuisance. I am itchy to do so many things at once, but I realize once I start something I get really tired quickly and then I tend to abandon whatever I’m doing and lie down to read/rest/nap. I’ve been wanting to bake, but there isn’t anyone apart from me to eat the baked goodies! Besides, although my appetite has returned, I am still quite averse to many foods and just seeing those things in my kitchen tends to make me go all Blearghhhh and there goes my cooking/baking plans. For some reason, I can’t stand pasta! I’m practically living on bread and rice and other sources of protein for nutrition. My weight, sigh, my weight, has barely gone up 2 kilos, and here I am at 5 months of pregnancy. I have my big 20 week fetal anomaly scan coming up next week, and I *PRAY* that everything goes well, and bubs is a good size. Can you believe it, I’m tired already after writing this entry. I feel like a real grandma I tell you! “I need to nap now”. P.s. 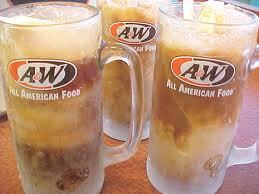 : To the hubs who may be reading this, please get me my A&W rootbeer from the States. 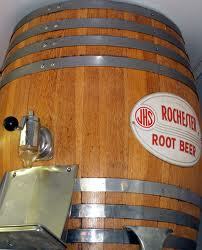 I don’t need Coach bags, or perfume or cosmetics from Sephora, just ONE BIG BOTTLE of rootbeer. P.P.S: To the ladies who are reading this, please comment/tell my other half how it’s a MUST for women to get their husbands to buy them Coach and goodies from Sephora in the US, and that he’s ONE LUCKY dude to be having me ask for JUST A ROOTBEER 😛 Kthxbye. 1. Sometimes, all it takes is a little EFFORT. 2. “Medication” can make you feel better, but “medication” can also kill you. 3. “Corny” is good. Only when it is the edible kind. Not the joke kind. 4. What does not kill you makes you stronger. I was almost “killed” before. I am stronger than most people think. Non dimenticare mai. 6. So I am a SAHW. Got a problem with that? Deal with it. 7. If you call yourself educated, act and think like one. 8. I refuse to be dragged into anyone’s self-made web of negativity and crappiness. 9. I am a better person now. Thanks to that little person inside of me 🙂 Can you say the same about yourself? 10. When I look back, 20 years from now dear bub, I will have no regrets. I’ve been advised against writing ranty posts, but heck care, I’ll write what I want, when I want. However, the reason I have been feeling miserable is this : Food. Yes, those pregnancy cravings. I know for a fact that I have been trying with all my might NOT to think of food, and when an urge for a certain food hits me, I try to brush it off as much as I can. The first craving that hit me was at the end of my first trimester. I wanted rendang so badly, and having no ingredients for making rendang, I brushed the thought off. Till about 11pm at night. I was grouchy as heck and I finally went to the kitchen and made chicken curry instead and told myself “this is rendang, it tastes just like rendang” x100000 times. Then onwards, no cravings hit. Except for the occasional love for green apples + asam (best combo EVAR), nothing major hit me. Till last week. I wanted root beer. Bah, just plain ol’ rootbeer you say? Grab it at the supermarket you say? Well, get this, THERE AIN’T NO FRIGGING ROOTBEER HERE. I’m not even asking for the icy cold ohhhh sooooo yummy A&W rootbeers. I’d be plenty happy with just a CAN of any generic rootbeer. But naa-ahhh. You can’t find rootbeer in Italy. Not where I am anyway. I googled it, and realized that rootbeer is simply not something that you find in Italy, unless you’re lucky enough to be living in a big city that has one of those supermarket selling foreign, imported items. So what did I do? I bought a can of Coke light to placate myself (you know, to CONVINCE myself that it tastes like rootbeer). This time it didn’t work. I took one sip and poured the rest into the toilet bowl. Did you know that Coke is so corrosive that some people actually use it to clean toilets. I digress. And then today, of all the friggin things in the world, I couldn’t get CHUKA HOTATE off my mind. 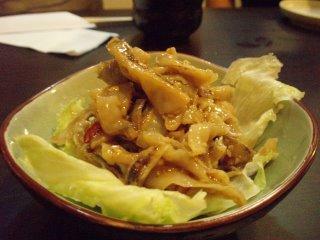 For the uninitiated, chuka hotate is basically marinated scallop frills served cold in Japanese restaurants. 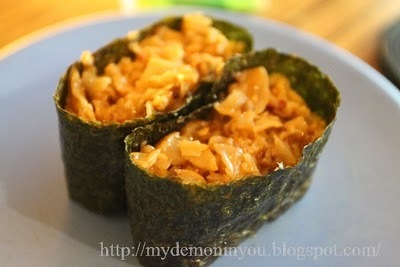 I never fail to order this when I’m at a Japanese restaurant. To try to get rid of the images of chuka hotate off my mind, I ate two slices of bread + peanut butter, an apple, a glass of milk, 2 chocolate chip cookies. Nope, it was still at the back of my head. And that was at 10am in the morning. At about 3pm, I had lunch. I ate a place of rice with potatoes+peas+minced meat+acar (Indian pickles). I was full. I still am. But what’s on my mind? C H U K A H O T A TE! And no. The lousy Japanese restaurants here don’t have it. Japanese food here = SASHIMI, raw fish, soba, that’s all thank youverymuchpleasecomeagainOMGIWANNAKILLYOU. Then in hopes of cheering myself up, I watched Everybody Loves Raymond on DVD. It never fails to cheer me up. Except today. Oh God, I hope its not an omen or God forbid a SIGN. SOBS. This episode had Debra who was pregnant with twins annoucing to the family that they were expecting twin boys. Raymond’s mother is so happy, she tells Debra to “eat all you want, dear, because if a pregnant woman doesn’t get to eat what she wants, then the baby will get a birthmark the shape of the food she craved for”. It sure opened the floodgates. I sobbed my eyes out, simply feeling sorry for myself, and for little bub. I’m sorry little bub, mommy tried, but this town doesn’t have anything. ANYTHING. Please don’t get a birthmark the shape of chuka hotate or a rootbeer can, or anything resembling the letters A and W. I promise you I’ll eat/drink all those things when we get back to Malaysia ok? Feeling miserable is an understatement. Not only am I feeling miserable, I’m also feeling a little scared. Sigh. Gimme a break already. I’m not even craving for unreasonable things like say, durian, or foie gras, or beggar’s chicken or sharksfin soup. Just chuka hotate. And rootbeer. I was supposed to write about my trip to Salzburg, Austria, but I guess you have become my first priority these days. Moreover, I can’t seem to resize my pictures on my wonky laptop, so we’ll just have to wait for daddy to come home to fix it (or just pinjam his laptop for a while). Right now, as I write this, I am at week 17, going into Week 18. That’s you in my belly at 16 weeks. The picture was taken on 7th June 2011. I am flabbergasted at how nature works. 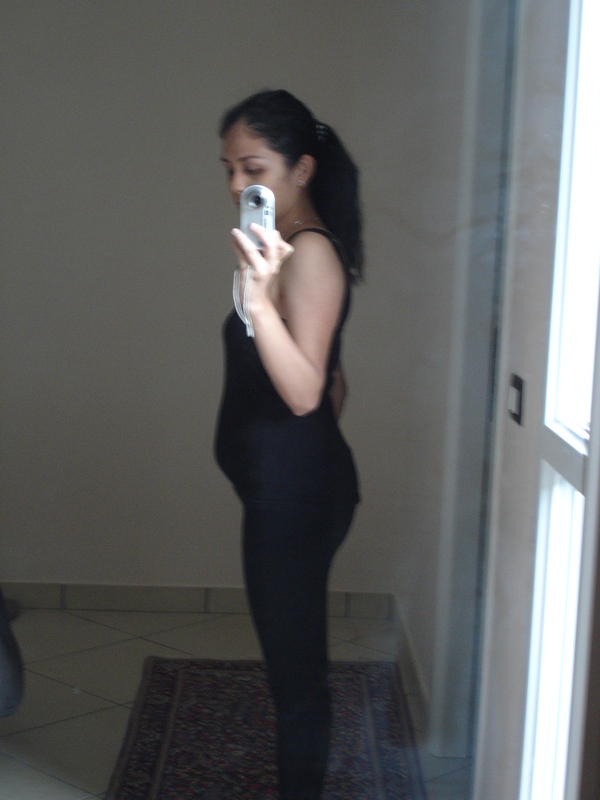 Though my belly is now showing, I have not put on a single kilo since my prepregnancy weight! Where did that bump come from??? I have been trying to eat more this week in hopes of seeing an increase in my weight, but no success thus far. My gynae says that it’s ok, and I shouldn’t be too worried about it as long as I’m eating and not losing weight! You know, baby, I might regret this whole wanting to put on weight thing once I further along in the pregnancy and feeling like a whale, and looking like one. So, when that day comes, I’m gonna dig up this post and bang my head on the wall. Haha. Today, 19th June 2011, on Father’s Day, I felt a real, unmistakble strong KICK/THWACK in my belly. I take it as my first REAL kick/nudge from you, although you’ve been making some pretty unmistakable groovy moves in there since week 14 onwards. 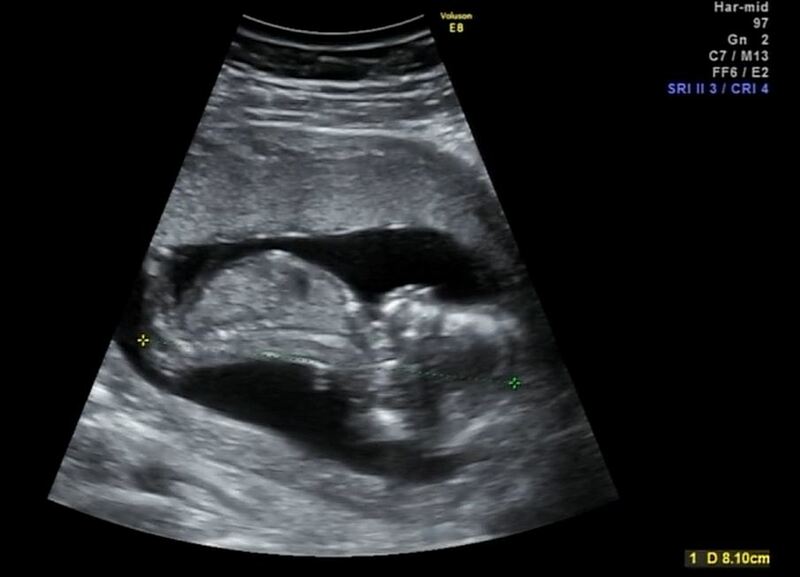 Last week at Dr.Vecchi’s appointment, I saw you on screen and what was most amazing was I saw you lying quietly in there, and when Dr.Vecchi prodded my belly around to get a better look at the screen, I saw you raise your arm and cover your face! That, dear baby, was astounding. I guess you were feeling irritated in there, and your reflexes got you shielding your face. I’m sure you can now close your ears in irritation too when daddy sings you hear loud noises. Mommy wants to say thank you for not making her puke so much anymore. The once or twice a week throwing up is MUCH better than the all-day, everyday throwing up horror that was the first trimester. However, mommy’s starting to get backaches, specifically on her tail bone (coccyx) which worries her as she had a bad, bad episode when she was in Form 5, in school. The pain was so bad then that your late grandpa had to take mommy to the orthopaedic surgeon and mommy had to endure an embarassing painkiller injection right at her tailbone. Now be a good little baby and try not to give mommy too much discomfort ok? Daddy and I have been doing SO MUCH research and reading on baby development, baby items etc that mommy’s getting a little overwhelmed. Last week, we went to three different baby shops to look up specifications and prices of strollers and car seats. It’s just mind boggling! Mommy has been dilligently reading up reviews, emailing suppliers (in Germany!) and daddy has been watching Youtube clips on how these strollers function. We narrowed down our choice of strollers to the Bugaboo Cameleon, the Stokke Xplory and the Concord Neo. Bugaboo has these wonderful colours, and so does Stokke with their high position seating advantage, and the Concord offers the best of German sturdiness and practicality and looks pretty good to boot. Right now, we’re waiting for daddy to come back from his trip to Peru and then mommy and daddy will visit another shop or two outside of Modena before we finally make our decision / purchase. Over here, things need to be bought/ordered much earlier in advance as everyone goes on vacation at the end of July and August and stock would be impossible to get then. People may think that mommy’s doing things too early on, but heck care, mommy would rather be prepared earlier than be rushing at the last minute, especially since mommy leaves to Malaysia at the end of September! Now the 2 other major items that are left would be your wardrobe (daddy wants a big one!) so he can dump all his stuff in there buy lots of clothes for you 😉 and also, there’s the baby crib too. Mommy’s all teary eyed now thinking if you would one day read these posts and understand how much we want the best for you, at so many levels, and though you may one day be a moody, disgruntled teenager saying no to everything and (God forbid) being irritated and hating your parents, you’d realize that we love you so very much, even before seeing you, and you mean the world to us. Just a quick post. I have been feeling this strange sensation like bubbles popping just below my navel for the past 2 weeks (14 weeks onwards). At first, I thought it could just be gas, but by golly, it’s getting more frequent, and I’m pretty darn sure it ain’t gas. In fact, I have been getting a few “nudges” that are pretty strong, it can only be some POWERFUL gas if it is indeed gas, LOL. I am at 16 weeks today, and today, I was soooo wishing I had me some kiam chye soup 😦 *drools. And then I read about Spring Golden Char Siew (my fave!!!) at The Baby Steps of Life and I literally felt my saliva gathering in my mouth, I had to swallow >___< Sighhhhh. Why oh why can’t I crave for someting easily available like pasta or pizza?? I have been feeling much better lately, and I have started cooking again, but simpler stuff. Today, I made a nice grilled fish on banana leaves (all the way from Rome! from hub’s friend’s garden) and a nice fresh salad. For dessert, we had chilled lo han kuo with mata kucing. And then half an hour later, all my food graced the porcelain throne. For some strange reason, I still throw up during different hours of the day. 2 days ago, I threw up my delicious Spaghetti Vongole dinner at 2 am. This Saturday, the hubs and I will go check out some baby stores just for a look see. We’ve decided not to buy anything till the summer sales next month, but having a look at things should give us a better idea of what we should get apart from price range at the stores. And ohhhH!!! We have officially bought bub’s first clothing item! 😀 It’s an adorable little…..ahhh wait and see what we bought coming up in my next post, heh 😉 It’s a simple item really, but oh so cute, to us anyway. Baby also received his/her first gift from hubs friends who were visiting from Singapore. I’ve yet to write about our trip to Salzburg, but OMG trust me when I say I have been having the crappiest computer luck lately. Nearly killed my laptop, and hubs had to reformat the whole thing. I lost all 6 years worth of pictures and documents. 😦 😦 And then I think I may have nearly killed hubs new uglyass canggih 1500EUR gaming computer simply by switching it on. It’s like I’ve been Midas lately, except everything I touch goes kaput! So fingers crossed, pictures should be up soon. In the meantime, I have restarted Italian lessons, and I am GUNG HO about really learning before bubs arrives and I’d have to bid arriverderci to my life social life. The bed is a-calling now, and I hope I dream of all things nice like puppies and char siew and satay and loh mai kai and char siew pau and mutton curry and rasam and fried pavaka.